My sons eczema is having a bit of a flare up at the moment. I want something soothing for him in the bath that is as natural as possible because he has enough pharmacy creams and medications for his various “problems”. I have heard of colloidal oatmeal bath for eczema; how soothing it can be and how it is supposed to help ease the itching (it helped with the boys chicken pox no end). So I decided to have a go at making some myself. In case you wondered colloidal oats basically is oats ground to a fine powder that will “float” in water. To call this a recipe feels somehow wrong really. 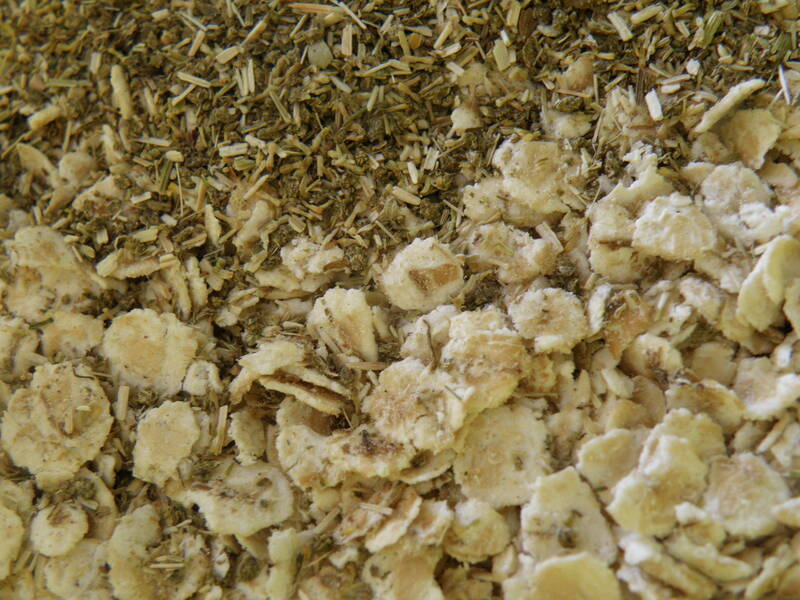 It is just pure porridge oats ground to powder. It will really help if you have one of those nut grinder attachments to your food processor as that gets good results. 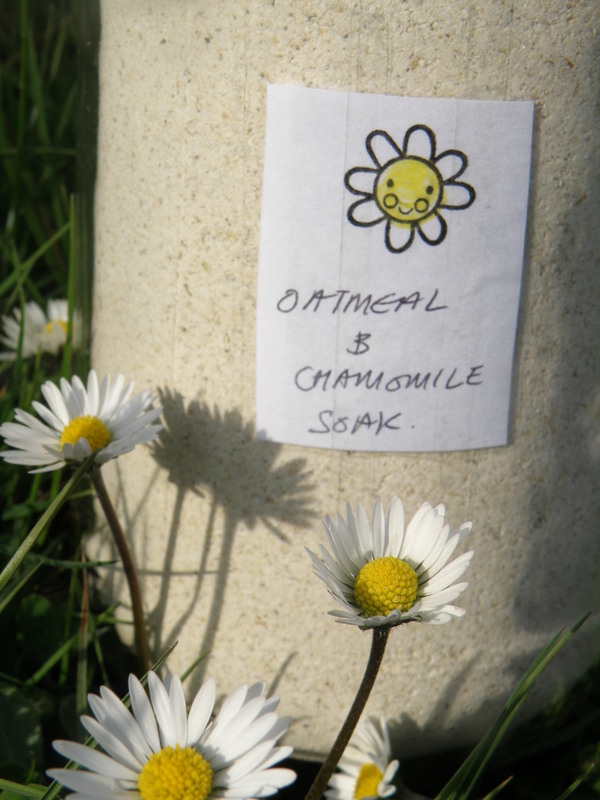 The chamomile is an optional extra really, I have used it in the bath before and find it nice and gentle on my sons skin. If you are not keen on seeing bits of tea floating in the bath then leave them out by all means or put mix into a muslin bag or the cut off foot from old pair of (clean) tights (stockings) then tie the top, hang over tap so water runs through the bag/stocking. You can then rinse and re use muslin/tight (stocking). Also you can rub the muslin straight onto your dry skin for a really intensive wash. 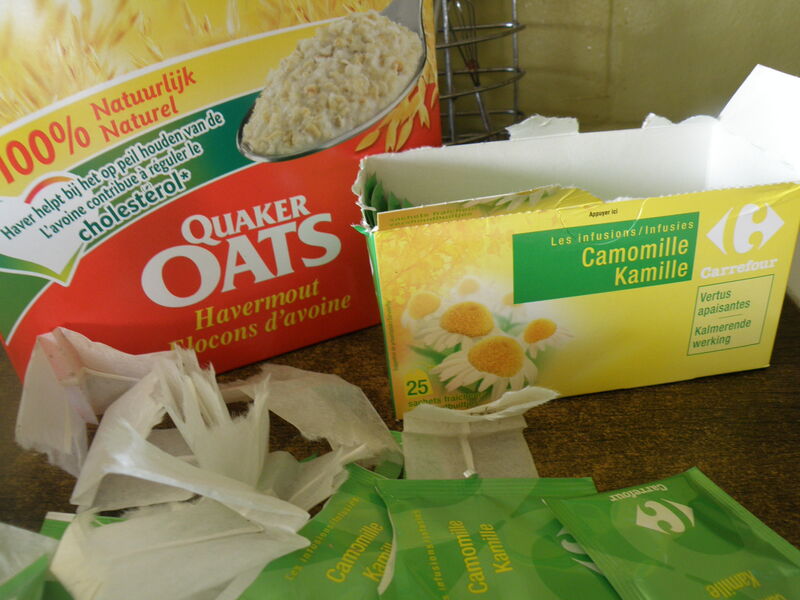 Combine the oats and (if using) chamomile tea. 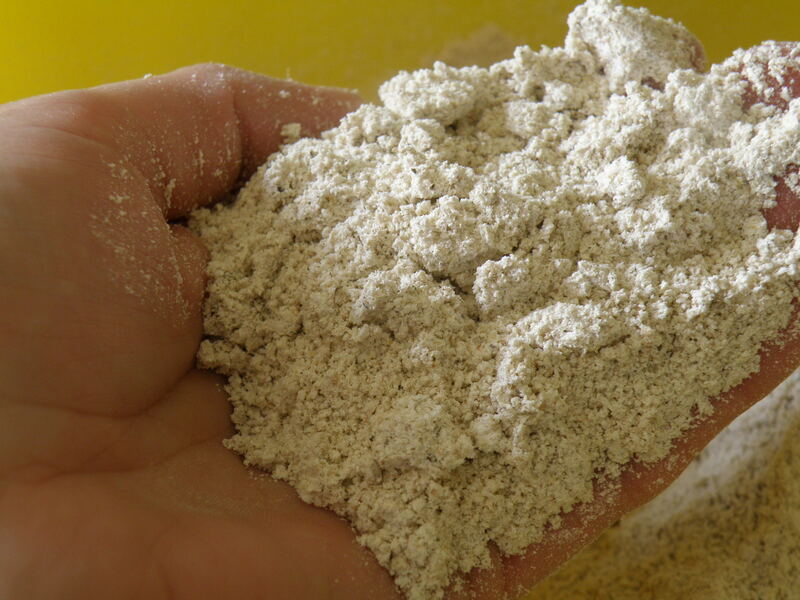 Blitz until as fine a powder as possible is achieved, you will need to do this in batches but fill the grinder almost to the top as this will make a finer powder. 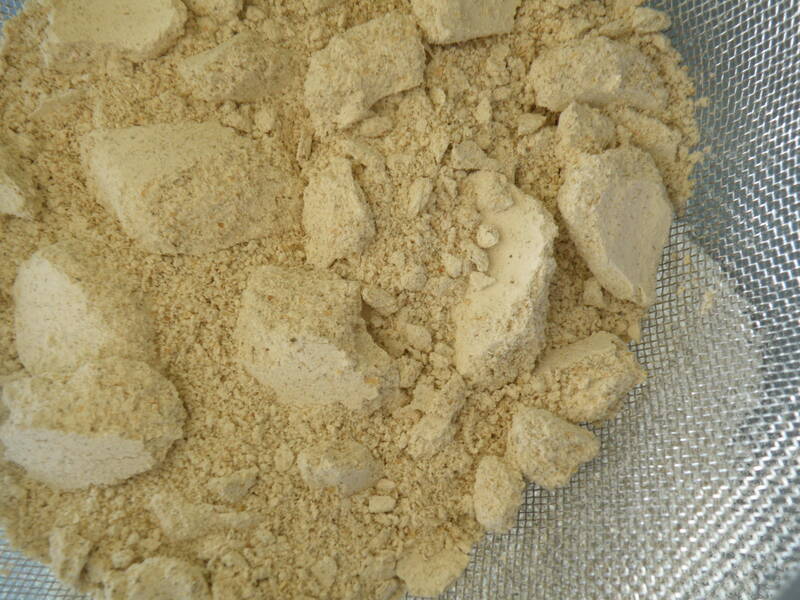 Next sieve the powder to be sure to remove any large pieces. Store in a large jar or a plastic tub and use at least ¼ cup for toddler/child bath and at least ½ a cup for adult bath. * Use a non slip bath mat for kids as it can make the bath slippery and rinse straight after with the shower to get rid of any oat or chamomile residue. I’m going to make this over the weekend. Can I also suggest adding some bicarb to the mix too as this is very good for lowering the acidity level in the skin. 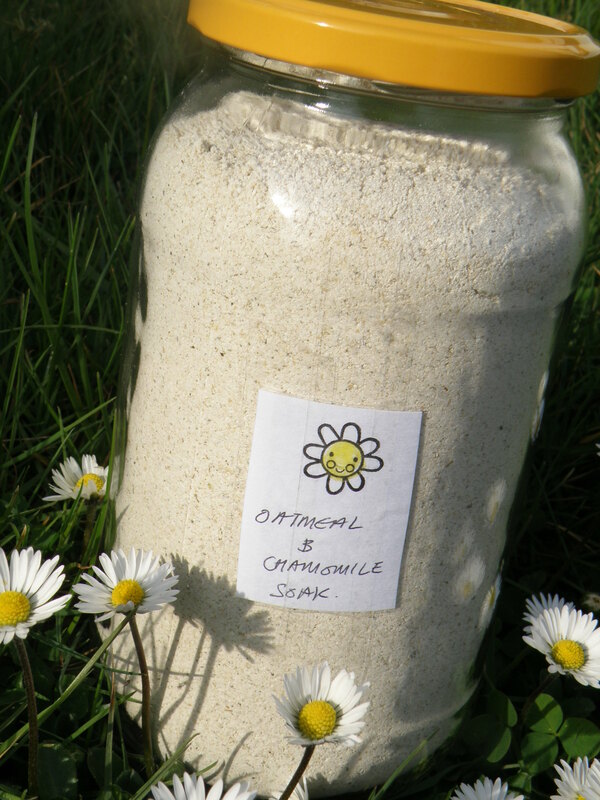 When my daughter had chicken pox i used oatmeal and bicarb in her bath and it really helped.